What was once a typical 60s-era brick bungalow was transformed into an award-winning contemporary show-stopper. A large, covered porch connects three-season living space to the home's great room. 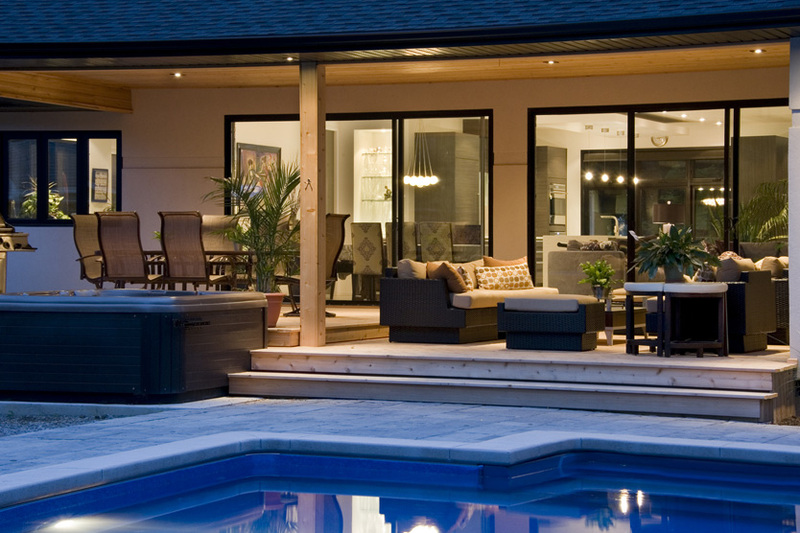 Large sliding glass doors let abundant light into the home while visually connecting the indoor and outdoor spaces. 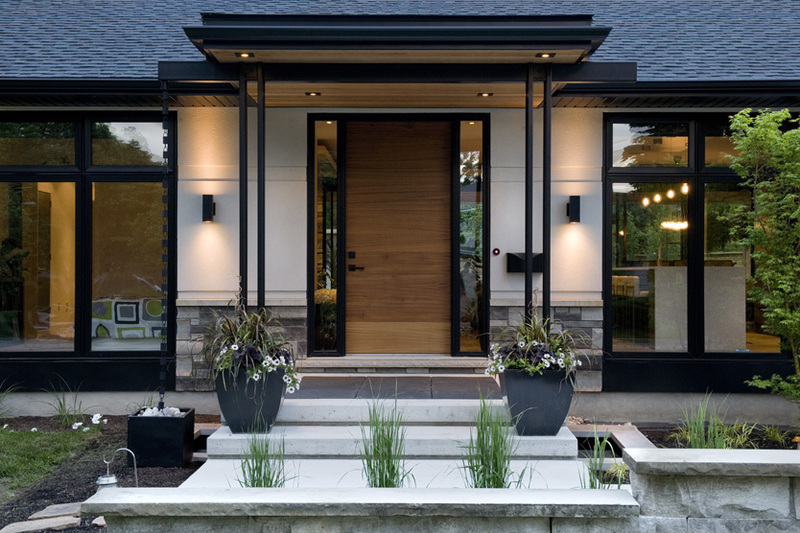 Exterior lighting and landscaping are considered integral to exterior design. 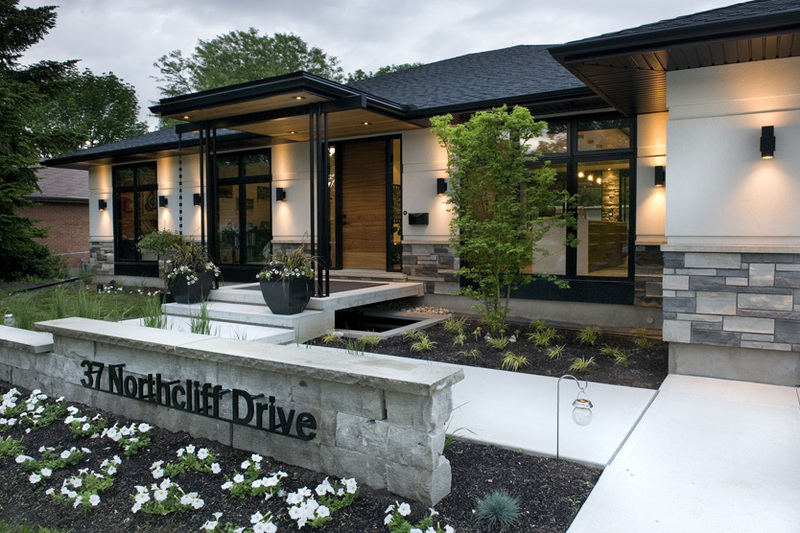 Contemporary landscaping pairs beautifully with the statement entryway. This concrete entry way floats above a simple, contemporary pond. 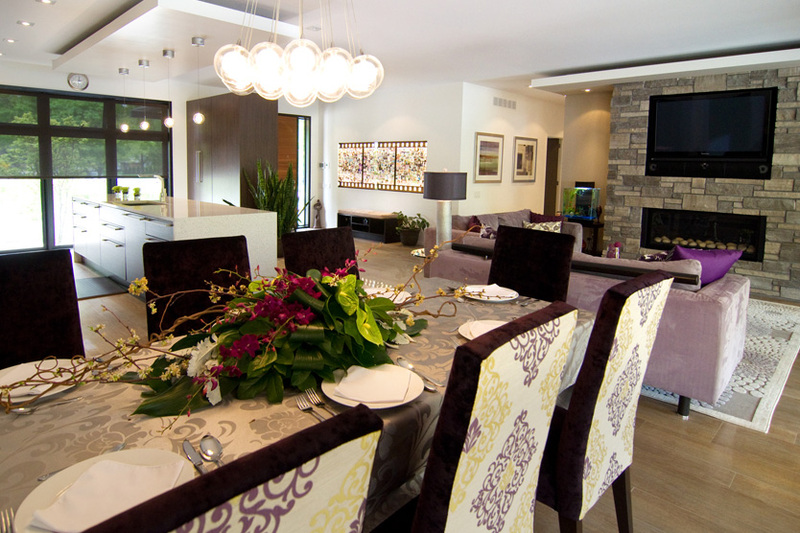 Walls were removed throughout the home's main floor to create this open concept living, dining, kitchen area. Functional cabinetry was used in the entry way to define the foyer space. Floor to ceiling windows were used on the kitchen's street-facing wall allowing light to flood through the space. 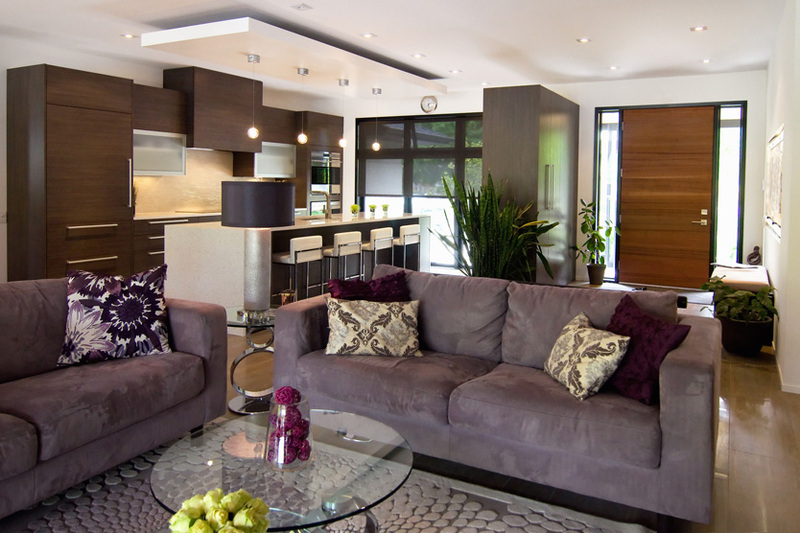 Attention to design details and careful choice of materials keep this contemporary space warm and inviting. 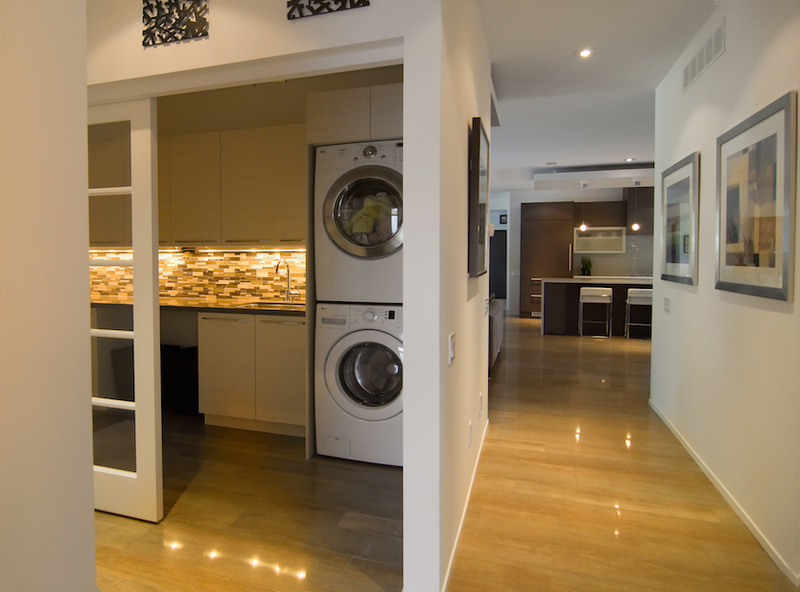 Well-designed, main floor laundry room is tucked away behind sliding glass doors. Wood-look porcelain tile floors continue through the main floor connecting spaces and creating the illusion of greater space. With stunning views overlooking the Royal Canadian Henley Rowing Course on Martindale Pond, the new owners of this two-storey house didn’t let shoddy original construction and a dated floorplan cloud their vision for their home. This heritage district home built in 1874 was previously renovated for several commercial uses and suffered from poor craftsmanship and a mess of mechanical adaptations.